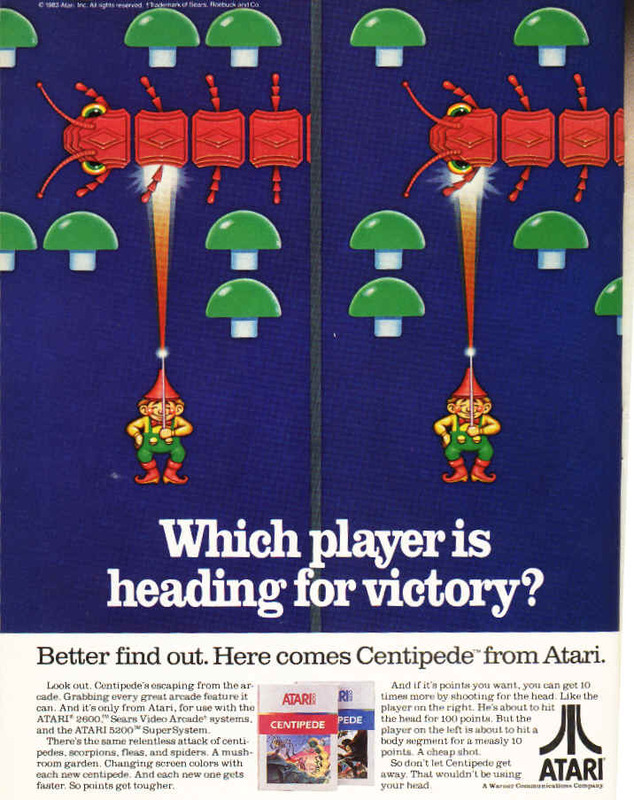 Centipede involves the player character, a garden gnome (!) fighting against a rather large centipede. Evidently the gnome’s magic wand (or whatever macguffin he has) can transform centipede parts into mushrooms. Milton Bradley actually released a board game based on the arcade game – one of many MB did over the years.